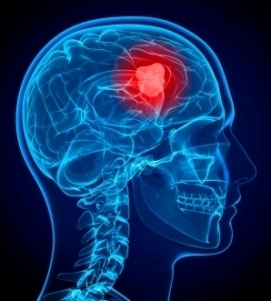 Brain cancer is a condition in which malignant cancer cells grow in the brain tissue. They form a mass of cancer tissue (tumor) which will interfere with important brain activities such as muscle control, memory, sensation and other key body functions. Tumors with cancer cells are called malignant tumors and the ones made up of mostly noncancerous cells are known as benign tumors. Statistics show that brain cancer is not a very common disease. It will affect about 23,000 people annually and result in 13,000 deaths, according to the National Cancer Institute and American Cancer Society. Although brain cancer shows very few early signs, the most common brain cancer symptoms include weakness, clumsiness, difficulty in walking, headache and seizures. Although headaches are commonly associated with brain cancer, they may not happen until a late progression of the disease. If you notice that your headache is not as it used to be, consult your doctor immediately. If you are already diagnosed with brain tumor and you notice a sudden worsening of the symptoms, call your doctor immediately. Beware for the appearance of the new symptoms mentioned above. The specialist checks your vision, hearing, muscle strength, alertness, coordination and reflexes. Your eyes are also to be checked. The doctor will look for swelling caused by the tumor that presses on the nerve connecting the eye and the brain. An X-ray based computer scanner takes a series of detailed pictures of the patient’s head. Another way is to inject contrast material into their arm or hand. It makes problem areas more discernible. This is a large machine with a strong magnet linked to a computer. It is designed to take detailed images of areas inside the head of the patient. Sometimes a contrast material can be injected into patients’ arm or hand to show any differences in brain tissues. It can effectively show if there is a tumor somewhere. This is a method of injecting dye into blood vessels. If there is a tumor somewhere, the X-ray will show it clearly. This method involves taking a sample of the patient’s cerebrospinal fluid. This is the fluid that fills the spaces in and around the brain and the spinal cord. The procedure is performed with local anesthesia. Using a long, thin needle, the surgeon extracts fluid from the lower part of the spinal column of the patient. The procedure takes about 30 minutes. Then the patient should lie flat for a few hours to avoid uncomfortable conditions, such as headache. Biopsy at the same time as treatment. The surgeon takes a tissue sample during the surgery to remove part orthe whole of the tumor. Stereotactic biopsy. This procedure is done with general or local anesthesia. The surgeon makes a small cut in the scalp and drills a miniature hole in the skull. Then he puts a long needle to look for the tumor. This procedure is normally applied when the tumor is situated deeply in the brainor in a place where it can’t be operated on. If the tumor is situated in an accessible location, the surgeon will decide to operate and remove the malignant tissue. Sometimes tumors are small and loosely attached to the surrounding tissue, so they can be removed completely. In other cases, like the tumors cannot be separated as easily or are situated near sensitive areas in the brain, any removal attempt could jeopardize the patient’s life. In this case, the doctor will try to remove as much of the tumor as is safe. But even partial removal is enough to ease the patient’s symptoms. Like every internal intervention, the surgery carries risks, mainly including infection and bleeding. Another potential risk is related with the location of the tumor. If it is situated near important nerves (eye nerves for example), inaccurate surgical intervention may lead to eye loss. It uses high-energy beams, such as X-rays or photons, to destroy cancer cells. Radiotherapy can be performed with a machine outside the body (external beam radiation) or, vary rarely, the radiation source can be put inside the body, close to the tumor. Side effects of radiotherapy depend on the type and dose of radiation the patient has, commonly including fatigue, headache and scalp irritation. Chemotherapy drugs. They are used to kill tumor cells by attacking them directly. They can be taken orally or injected into a vein. The chemotherapy drugs may cause quite unpleasant experiences, including nausea, vomiting and hair loss. Targeted drugs. This treatment focuses on specific abnormalities of the cancer cells. The drugs suppress those abnormalities, making the cancer cells to die. Alternative cancer treatmentsare an area still to be researched. Although alternative treatments have not been proved to kill tumors, they are quite successful in alleviating the side effects of the tumors and their treatment. These treatments include acupuncture, hypnosis, meditation, music therapy and relaxation exercises.